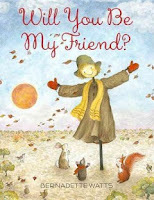 Fall Story Time Sessions Begin Monday! Tuesdays at 10:15 a.m. & 11:15 a.m.
Wednesdays at 10:15 a.m. & 11:15 a.m.
Fridays at 10:15 a.m. & 11:15 a.m.
Don't forget to claim your summer reading prizes! There's just a few days left!!! Kids and teens who signed up for the summer reading program have until Monday August 31st to turn in their reading records and to claim their prizes. Everyone gets to pick out a book to keep, a discounted coupon to go to Oaks Park and a voucher for a free Portland Trailblazer ticket! Don't forget to claim your summer reading prizes! Kids and teens who signed up for the summer reading program have until August 31st to turn in their reading records and to claim their prizes. Everyone gets to pick out a book to keep, a discounted coupon to go to Oaks Park and a voucher for a free Portland Trailblazer ticket! Our August LEGO Construction Zone will be on Sunday the 23rd at 1:30 p.m. and runs till 3 p.m. Come play with a whole bunch of our LEGO's in the Puett Room and see what you can create and build! Our summer story time break is about to begin. We will be on a break starting August 17th and ending August 28th. We will resume our regular story time schedule on August 31st. Also note that the library will be closed on Monday September 7th in observance of Labor Day, but we will continue the next day on Tuesday September 8th. Have a safe holiday and we will see you soon! We've got one more kids summer reading event happening this summer! Join us in our Super Vehicle Design Workshop where you can invent a stellar vehicle to transport the super hero of your choice. We'll have LOTS of supplies you can use to let your imagination run wild! It's happening on Saturday August 15th at 1:30 p.m. to 2:30 p.m. in the Puett Room. 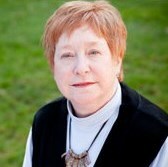 And last but not least, our final guest reader for Family Story Time this summer will be our very own Oregon State Representative, Margaret Doherty. After stories, kids will get to participate in a vote to determine the first story time theme of the school year. See you at 10:15 and 11:15 in the Community Room this Friday, August 14. Border Collie International is a performing canine team of rescued border collies. Come see them play sports, perform skits, and show off their Frisbee skills. 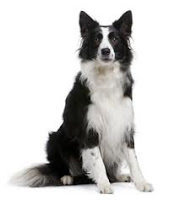 Watch these amazing and entertaining dogs in the Burgess Community Room on Tuesday August 11th at 6:30 p.m. The dogs will be performing in the center of the room, so seating will be set up in a circle around the perimeter of the room. This program is generously sponsored by Washington County Cooperative Library Services. Thinker Tinker Lab - Water! The world of water fun is just a few days away. Join us in the courtyard off the Puett Room for all kinds of water play time. Join us for a screening of Laika's latest hit about a boy raised by misunderstood underground dwellers. Enjoy snacks and make your own mischievous creature. Want more fun? Snap pictures of your Boxtroll's adventures around Tigard, then post on Facebook or Twitter for everyone to see and enjoy! The fun is happening on Sunday August 9th at 2 p.m. and will run through 4 p.m. in the Burgess Community Room and is open to all ages. It's summer time and do you know what that means? Gardens are in full bloom waiting for the veggies to ripen, and trying to scare off all those birds so they don't eat our homegrown produce! That only leaves one thing...the friendly garden scarecrow. Even if you don't have a garden and a scarecrow of your own, check out some of these picture books and enter a world from the scarecrow's point of view! 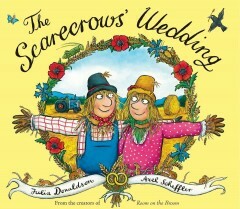 Told in rhyming text, Betty O'Barley and Harry O'Hay, two lovable scarecrows, plan their wedding, enlisting the help of the animals around the farm. 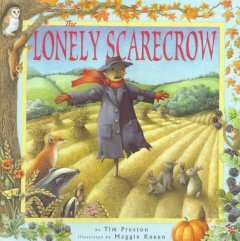 When Little Jack Rabbit and his family visit the cabbage patch, his aunts and uncles tell him to stay away from the scarecrow. But Jack thinks the scarecrow has kind eyes. And when winter moves in, the scarecrow proves to be a good friend to all animals. 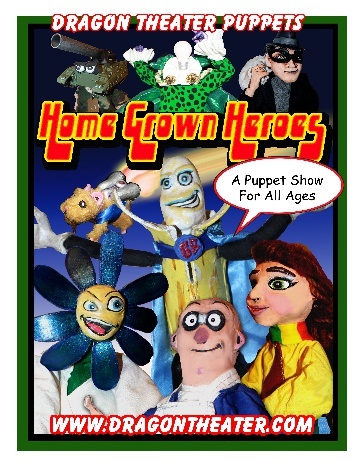 Dragon Theater Puppets will be presenting "Homegrown Heroes" where a villain known as "The Bad Idea" has a bad idea. He wants to stop the world from having creative minds, so a band of superheroes teams up to stop him. Come see this jam-packed puppet show on Tuesday August 4th at 3:00 p.m. in the Burgess Community Room. And learn how you can find your own inner hero too! Let's build bridges and other sturdy structures out of spaghetti and gumdrops. Will your bridge collapse or stay strong. Monday, August 3 from 2-4pm. All ages! Fall and Winter Semester Book Group Registration NOW OPEN! Starting today, August 1st, children entering grades 1-6 can register for a Tigard Public Library Book Group. Registration closes August 31st. The Kids Book Club is for children in grades 1-3 where books will be read and discussed that are written at a second grade reading level. 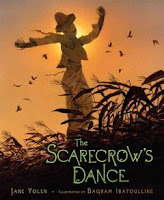 The books chosen to read are from the 2015-16 Beverly Cleary Children's Choice Award nominee list and participants will have the opportunity to vote for their favorite book from the list while in the kids book club. The 2015 fall meeting dates are September 22, October 20, and November 17. 2016 Winter meeting dates are January 19, February 16, and March 15th. Super Readers is for children in grades 4-6 where they will read longer books. The 2015 fall meeting dates are September 15, October 13, November 10, and December 8. The 2016 meeting dates are January 12, February 9, March 8, and April 12. BeTween The Lines is a NEW book discussion group for grades 6-8. 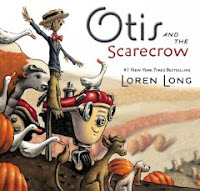 This is a great opportunity for readers of this age to discover some fantastic reads from the 2015-16 Oregon Reader's Choice Award middle school/intermediate division nominee list while enjoying snacks, games, and crafts. The fall 2015 dates are September 28, October 19, and November 16. Please come to the children's desk at the library to register your child for one semester of their choice for their appropriate age group. Children may only attend one semester in order to allow more children to participate in the program. All books have been generously donated by the Friends of the Tigard Public Library for each participant to keep their book.